As 50-lb. bags filled with medicine stoppers came off the line at West Pharmaceutical Services, workers lifted them over a ledge into shipping containers. That was the process, until a line supervisor—a forty-year veteran of the company—had an idea. West’s VP of human resources, Peggy Tayloe, told the story. “Why don’t we do it this way?” the supervisor said. He prototyped a device that would roll, pick up the bag, and drop it down into the container. His idea was developed and implemented across the company, which gave him “a sense of empowerment,” said Tayloe. Tayloe’s anecdote illustrated how innovative concepts can come from any employee, whether novice or seasoned, at any level. 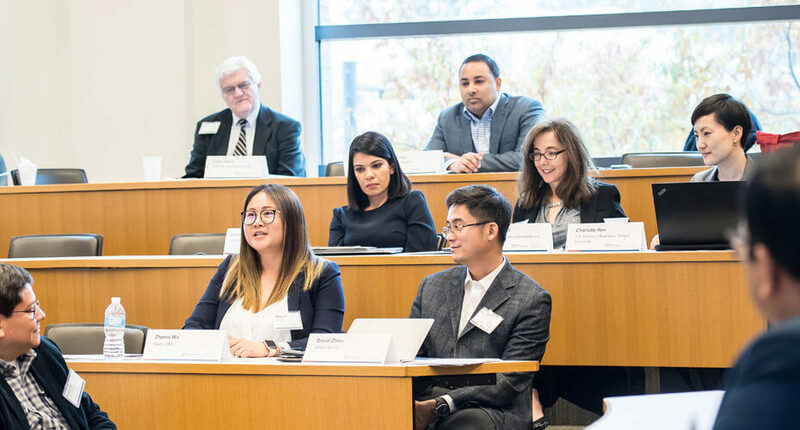 Other speakers at the Mack Institute’s Fall Conference 2018, too, talked about the importance of nurturing a culture of innovation across entire firms. Yet the story also evoked the risk of jobs changing, or being lost altogether, due to automation. 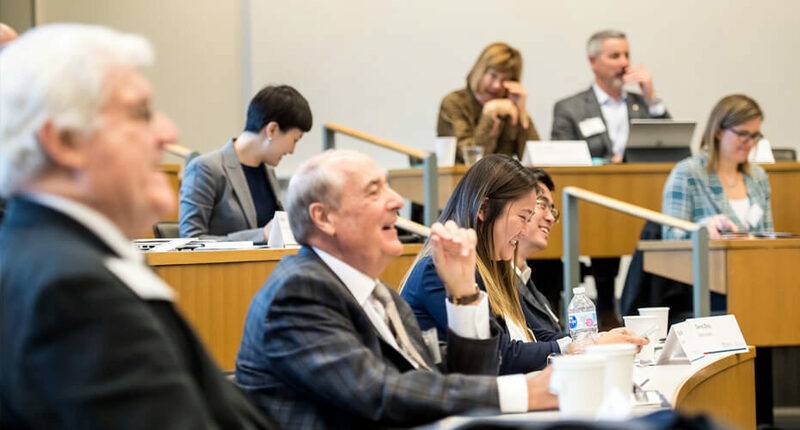 In fact, today’s business leaders are faced with a welter of emerging technologies — robotics, machine learning, artificial intelligence, IoT, augmented reality — that are swiftly transforming not only the way we work, but how and whom we hire. Is your firm ready for Industry 4.0? 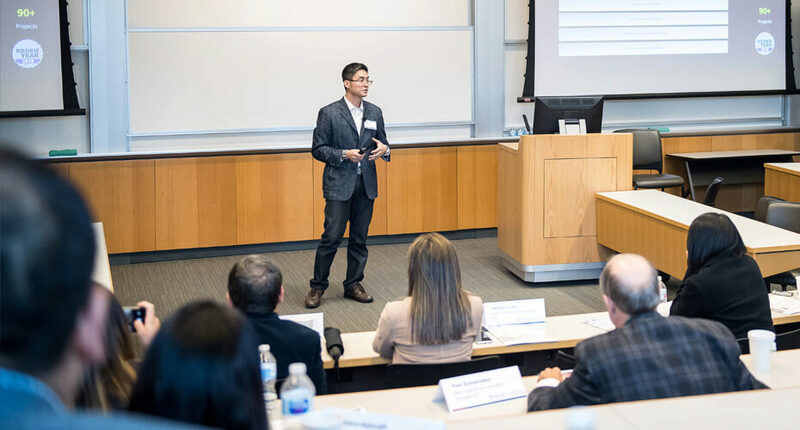 The next industrial revolution is transforming not only the products companies make, but how employees and organizations work together, according to David Zhou. Zhou is the head of product for Baidu Apollo, an open-source autonomous driving platform which he said has over 10,000 developers, more than 120 partners, and over 90 ongoing projects. Podcast: David Zhou discusses the future of autonomous driving. Zhou asserted that whereas the 18th-century Industrial Revolution provided products, and the 20th-century Internet Revolution provided services, Industry 4.0 will provide individualized technology that feels like an extension of oneself. This will be enabled by emerging developments in robotics, 3D printing, the Internet of Things (IoT), augmented reality, and artificial intelligence. 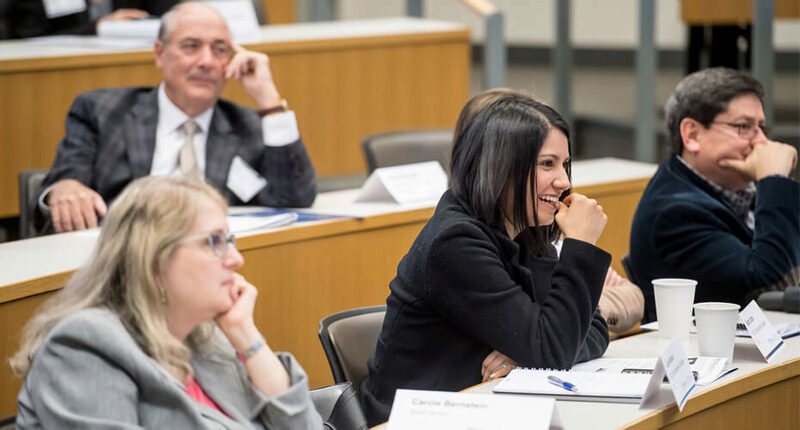 Creating an emotionally satisfying customer experience will be paramount: “The emotional advantage is the next business advantage,” he said. In Zhou’s view, smartphones could eventually be replaced by augmented reality, pleasing the customer who “doesn’t want to interact with a cold screen.” E-commerce could be replaced by innovative self-service markets so consumers could “see” things before they buy them, or simply enjoy browsing. IoT, too, delivers an emotional advantage, surrounding people with products that “understand” and anticipate their needs. Surgical and dental gloves, diving suits, hazmat gear: much of the protective clothing we see in the world is made by Ansell, a major manufacturer. Of the company’s 13,000 employees, about 10,000 work on the manufacturing side, primarily in Asia. “When I have that person on the line that’s folding gloves, unless they went back to school to get an engineering degree, I don’t see them working on robotic equipment, or planning out how we can be more efficient.” That’s the nature of the challenge, she said. On the managerial side, Lynch said that younger employees often have unrealistic expectations for how fast they’ll receive a raise or a promotion. She spoke about other ways to reward them in the short term: for example, increased visibility through participation in a global project; an invitation to an offsite sales meeting that not everyone gets to attend; a small-group lunch where they get to spend time with top company executives. She also recommended showing people a path to how they can get promoted eventually, including describing the achievements they should work toward. As with many companies, innovation and automation are transforming the landscape at MAS Holdings. MAS is a Sri Lanka-based apparel technology company that Chaudhuri noted is the largest manufacturer for Victoria’s Secret and Nike. Of MAS’s 98,000 employees worldwide, Ashraff said, most are either mechanics or machinists. “We have 80% of our people at the sewing machines.” And like Lynch at Ansell, Ashraff faces concerns about workers increasingly losing jobs to automation. She said MAS has initiated an upskilling program. For example, a mechanic can move up to become an engineering assistant, then a domain specialist, and finally an engineer. She spoke about engaging with local government and universities in this effort. Ashraff asserted that it’s important for employees to have a voice in the process. “Do they want to go down this road… do they know what’s coming?” She recommended that companies create a “protected space” in which employees can learn about automation trends, express their views, and decide their employment direction for themselves. Peter Cappelli provided a counterpoint to some of the discussions around new technologies. 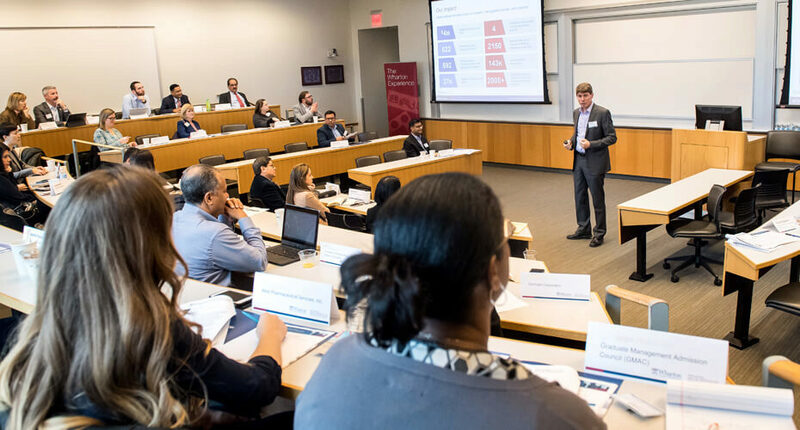 The director of Wharton’s Center for Human Resources, he asserted that simply because a particular technology is invented, we shouldn’t assume it will be quickly and widely adopted. “Technology can exist and still not change things very much,” he said. For example, in Dubai, one can see construction workers digging foundations using picks and shovels. It’s not because their bosses don’t know about the invention of the backhoe; it’s because labor is so cheap there’s no business reason to switch. Another instance Cappelli gave is the advent of VCRs, which were predicted to render TV obsolete because everyone would be able to skip through commercials. But they were so hard to program that many people didn’t bother. He also mentioned that self-piloting airplanes have existed for 20 years, but aren’t utilized because “it would creep us out too much being up in a plane with nobody in the front seat.” Cost, ease of use, and many other factors influence the spread of new products, he said. Cappelli also discussed the common complaint of employers that they have trouble filling jobs. He argued that out of the 66 million jobs per year filled in the U.S., only about 5% are new. For most jobs, we are merely “backfilling” because people are quitting. And they’re leaving because they’re not given opportunities to rise through the organization — which in turn is because employers fill only about 35% of vacancies with internal candidates. 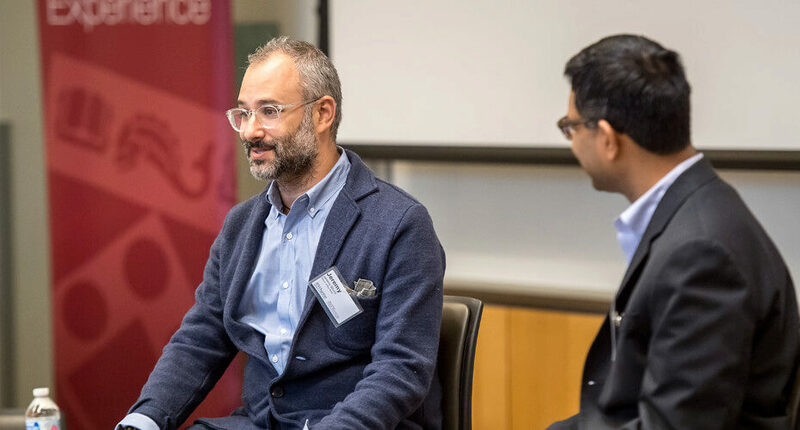 As a Managing Director at Silicon Valley Bank, leading its East Coast Early Stage Practice, Jeremy Shure noted that his firm works with the majority of venture-backed companies in the U.S. and with venture funds. “We sit at that intersection where we’re really working with almost all founders and VCs.” The journey includes every stage of a startup, from incorporation all the way through IPO and acquisition. Shure shared observations about today’s millennial-age employees. “We’re at an inflection point with folks that are coming out of college, where expectations simply have changed.” He agreed with many at the conference that young workers can be demanding about promotions and raises, but he described what he believes are other key concerns of this demographic. For one thing, said Shure, there’s no substitute for transparency. 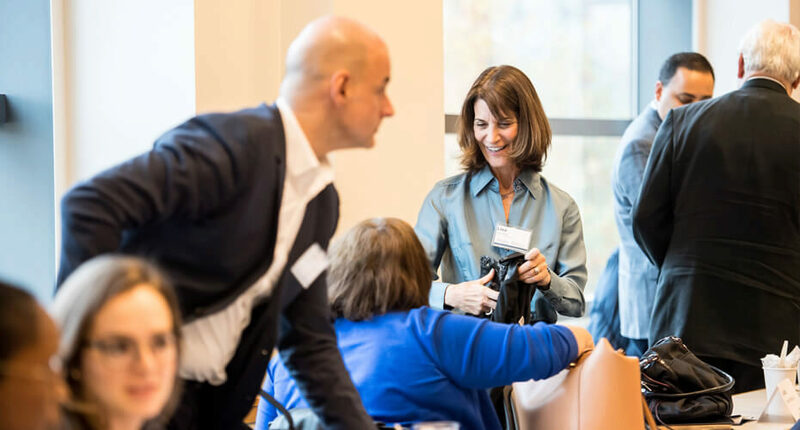 “Employees today at all levels are highly curious about what’s happening within the organization beyond their particular role.” He recommended role-modeling that transparency so that employees themselves adopt the mindset. Shure also encourages his team members to find mentors outside of the team with whom to develop trusted relationships, so they can have frank discussions and gain a broader point of view. Frequent feedback is another need of younger employees, and is also related to transparency, said Shure. Having to wait for an annual review — as your only evaluation — just doesn’t cut it any more. In addition, employees want leniency to be creative, and even to fail in that effort. “I think about how folks can act as entrepreneurs within a large company,” he said. 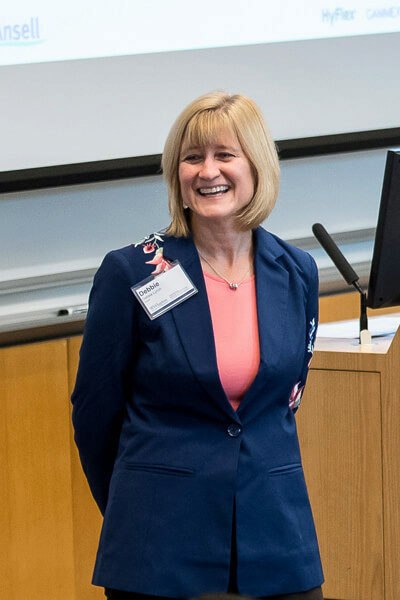 “We’re 95 years old and we expect to be in business for the next 95 years,” said Peggy Tayloe of West Pharmaceutical Services, an Exton, Pennsylvania-based pharmaceutical packaging and medical device company, where she is a vice president of HR. West manufactures products like plungers, stoppers, and vials to contain and deliver medicines. Tayloe said the company works with the top global biotech and pharmaceutical firms. When it comes to innovation, Tayloe said, “We have to continually transform ourselves.” For instance, West has developed an automated vision inspection process to replace human visual inspection for West stoppers. This helped the company achieve a dramatic reduction in defect rates and deliver a higher quality product to customers. Tayloe advised the attendees to “operate like a technology company,” even if your business doesn’t fall into that category. Tayloe also recommended using data to predict your company’s future talent needs. 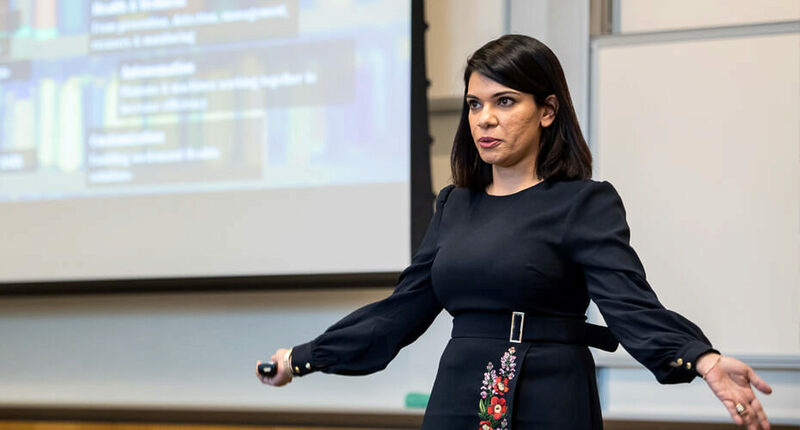 She described how her team analyzed where the most successful individuals in the company — especially those driving innovation — had come from educationally, and discovered it was biomedical engineering programs. The team looked at the number of existing programs and compared it with labor market trends. As a result, West decided to get involved with scholarship programs in that discipline. The majority of CommScope’s workforce are long-time employees, said the company’s director of global innovation, Lauren Miller. Sometimes there’s a “well, we’ve always done it this way” attitude and a resistance to change. 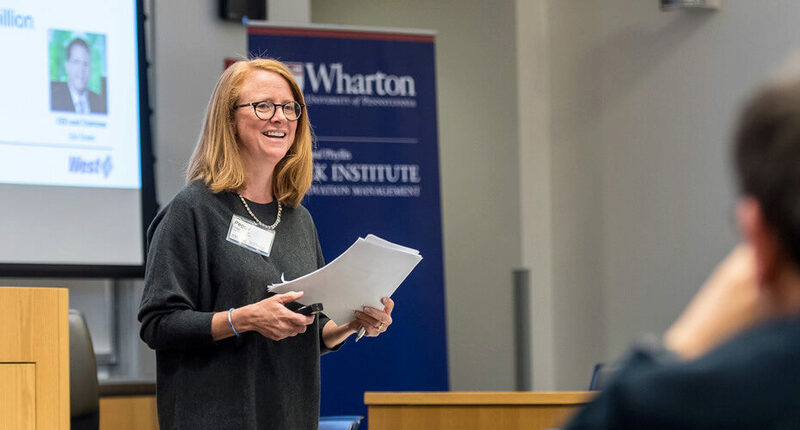 Yet, she said, innovation is a must-have for the continued growth of her global firm, which designs and manufactures wired and wireless communications infrastructure. This is especially true given the space CommScope works in, with cutting-edge trends like cloud, Big Data, smart home, and 5G (the next iteration of mobile communications). One way that Miller has promoted innovation at CommScope is through crowdsourced innovation. 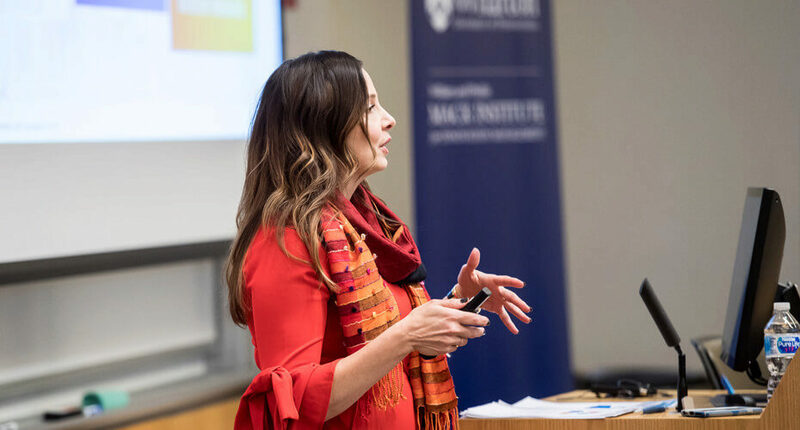 In October 2017, she led their company-wide “Big Idea Challenge,” which she facilitated using HYPE, an online crowdsourced ideation and innovation management software platform. The “ask” was for a long-term, game-changing ideas for the company. “We were asking everybody… engineering, HR, finance, legal,” she said. The reward offered was simply that every single idea would be evaluated and considered, and that contributors would be included in the process if their concepts were developed. The innovation initiative was extremely successful, yielding 727 ideas from over 600 contributors at CommScope’s 30 locations worldwide. Of the more radical ideas, 12 have been assigned executive sponsors to study next steps. Of the more strategic and tactical ideas, about 200 are being pursued by multiple business units for quick wins. The company repeated the challenge in 2018 and is now evaluating the nearly 400 ideas shared. 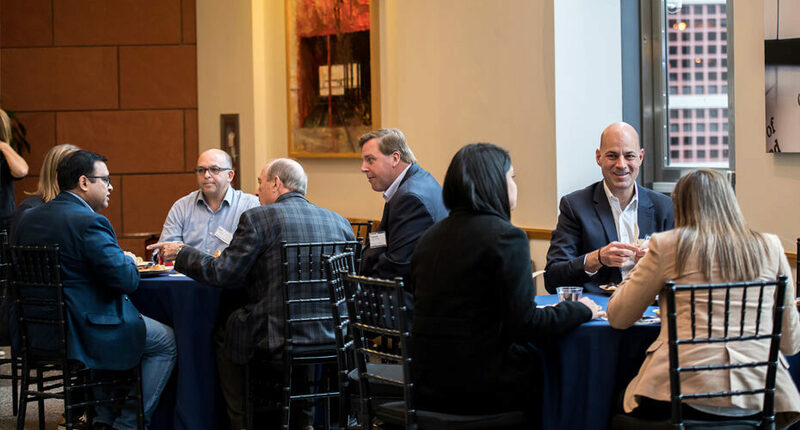 In reflecting on the conference discussions, co-director Siggelkow observed how in an era of rapid technological change, it may actually be the human element that is increasingly valued by employees. Recognition by one’s peers, invitations to exclusive meetings, or participation on high-profile projects may be worth more than a salary increase. And face-to-face interactions continue to be desirable despite the ability of technology to achieve a comparable result. “For a while it was wonderful, this idea of ‘I never have to talk to someone, I can do everything on my phone,’” Siggelkow said. “But now it’s a luxury to be able to talk in person.” He related the concept to Zhou’s statement that Industry 4.0 products could increasingly fulfill customers’ emotional needs. 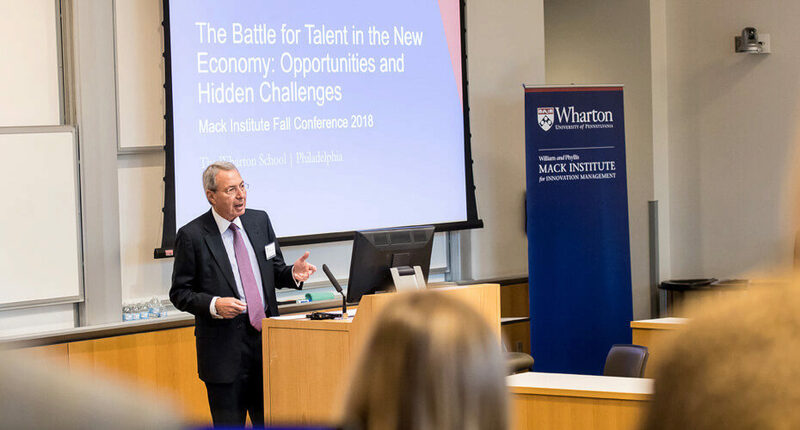 Chaudhuri announced that the Mack Institute Spring 2019 conference would take place in San Francisco in May. 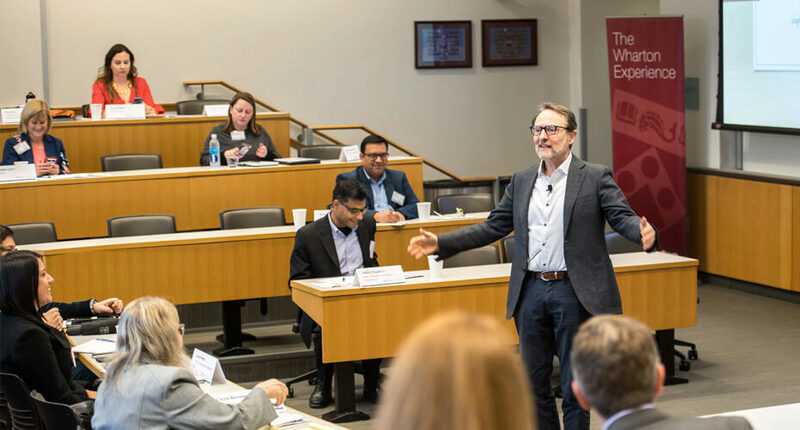 He mentioned that the topic will be based on a forthcoming book by Siggelkow with Wharton professor Christian Terwiesch, titled Connected Strategy: Building Continuous Customer Relationships for Competitive Advantage.